END PANELS -Cut-to-size kitchen cabinet end panels are made from hardwood plywood with either particleboard core or veneer core. Quality hardwood veneers are used for faces and backs. Onsite, particleboard is engineered especially for the necessary strength and machining qualities to make hardwood plywood with particleboard core a practical alternative to veneer core. Southern soft textured veneer is manufactured for inner plies of end panels that require veneer core. Purchased MDF and calibrated tropical platforms are also available for cores. KITCHEN CABINET TOPS & BOTTOMS -Custom cut tops and bottoms are manufactured from hardwood plywood with either veneer, particleboard or MDF core. 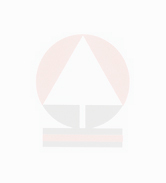 Also, cut-to-size tops and bottoms are manufactured with wood grain vinyls or papers laminated on particleboard or MDF. SHELVING -Wood grained vinyl or paper wrapped shelving is manufactured cut-to-length. Shelves are fully wrapped and feature bullnosed long edges. Particleboard substrate is made inhouse. Our plant uses double refined particles designed to give the long edges a precision look. DRAWER SIDES -Cut-to-size drawer sides are laminated with wood grained papers on particleboard made onsite with double refined particles. Drawer parts feature bullnosed edges and are grooved to customer specifications. Our particleboard provides drawers with ideal qualities for stapling, screw holding and machining. Holes to attach fronts to four sided drawers are available. French dovetail is also available upon request. 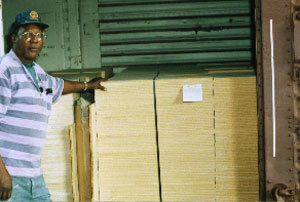 SPECIALTY COMPONENTS -FLORIDA PLYWOODS, INC. has the capability to manufacture a wide variety of specialty products. 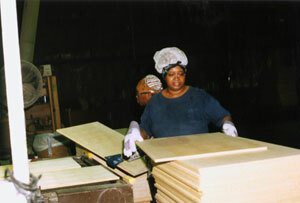 Unique products currently manufactured range from cigar box lids to bottoms for wood wagons. HOBBY WOOD -Hobby craft wood is derived from all of our manufacturing. Small sizes are easily used by small cabinet shops and home based wood workers. Email FLORIDA PLYWOODS, INC. your requirements!